Till death did them part? For years researchers in the Novosibirsk region of Siberia have puzzled over dozens of ancient grave sites containing bodies buried face to face, some seemingly with hands clasped as if in an eternal embrace. But soon DNA tests may help provide an answer to the key question: Are these the graves of star-crossed lovers, or could the remains be evidence of a gruesome ancient custom? The bodies are part of a massive burial ground located in the Siberian village of Staryi Tartas, the Siberian Times reported. 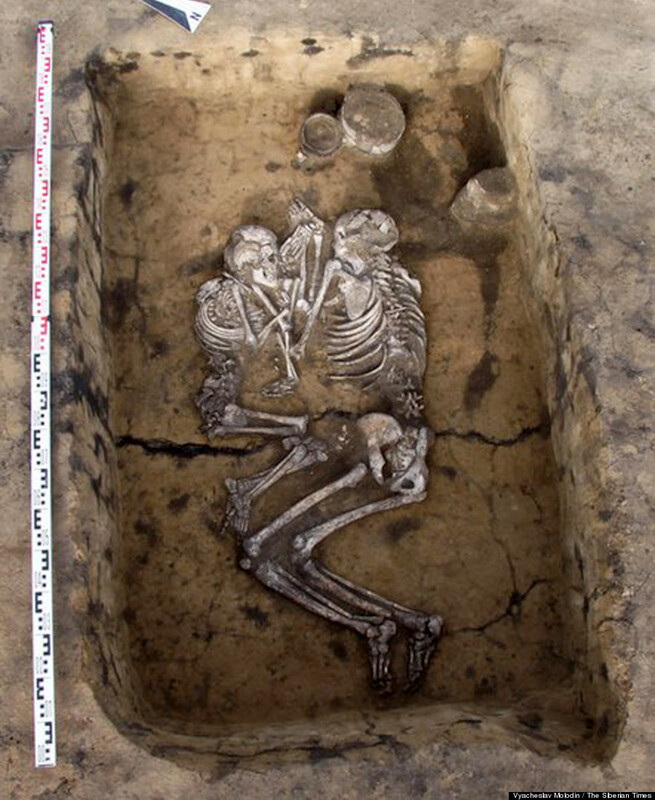 Altogether, close to 600 tombs have been discovered in the area, dozens of which contain the so-called “embracing” couples. The graves are believed to belong to the Andronovo culture, which existed in the area during the second and first millennia B.C.E., according to Britannica. Yet many of the bodies in the graves are believed to be from the 15th, 16th and 17th Centuries B.C.E., the Siberian Times reported. Molodin said he ultimately hopes new rounds of DNA testing will help determine the relationship between the buried couples. For example if it turns out some of the bodies are parents and children, the burials might be an example of an emerging family unit in Adronovo culture, he explained. However, the couples buried in Siberia aren’t the only ones that have sparked debate. In 2007, the bones of a man and a woman from 6100 B.C.E., seemingly locked in a loving embrace, were unearthed in a Turkish grave. While some researchers claimed the remains belonged to a pair of lovers, other scientists scoffed at the notion. A similar couple was unearthed several years ago in Italy. That Neolithic couple, believed to have lived between 5,000 and 6,000 years ago, caused an international sensation when the two were discovered near the city of Verona, the setting of Shakespeare’s Romeo and Juliet, Reuters reported.